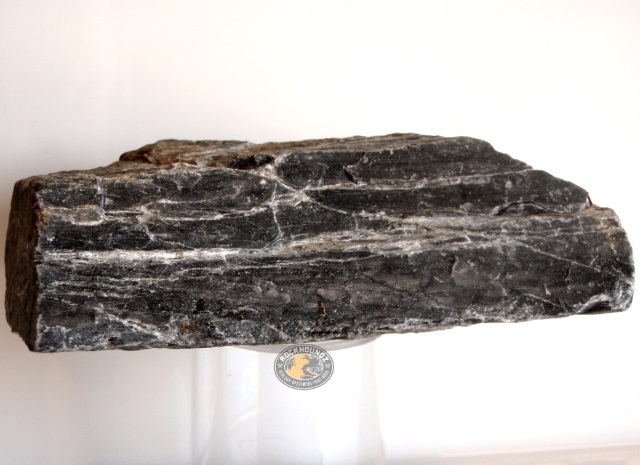 This gneiss specimen displays typical banding associated with regional metamorphic processes that formed this metamorphic rock during the Devonian to Carboniferous periods. Source rock could have been sedimentary or igneous. Examination with a hand lens shows typical mineral foliation. Associated with later Permian Boondoomba Igneous Complex and mapped as DCy on the Morton 1:500 000 map sheet.